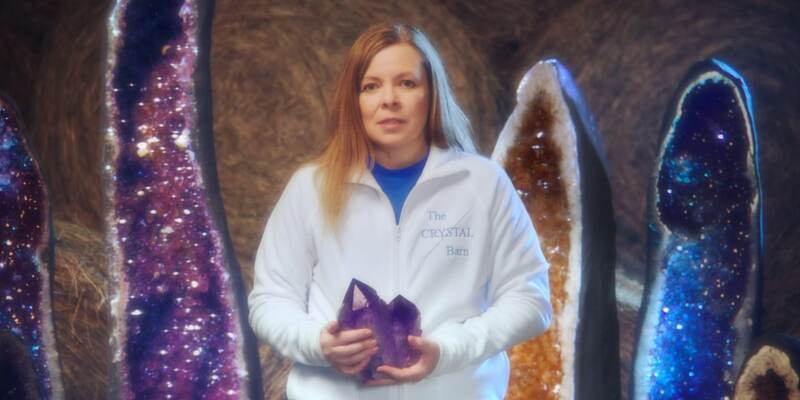 The Crystal Barn's owners sell real crystals, in a real barn. Banks love to feature small-business clients in their ads, but these often fall into pretty safe and predictable categories like bakeries, bicycle shops or fashion boutiques. So when British finance company Barclaycard and agency Droga5 London were looking for the best entrepreneurs to feature in their new longform spot, they went with an … unexpected choice. The Crystal Barn in Kettering, England, is not your usual small business—nor is this your usual small-business ad. They sell a wide range of crystals that some believe to be imbued with special restorative properties. While the owners could have given a straightforward pitch, Droga5 instead decided to let them have some fun and ramble a bit about everything from balancing chakras to the very detailed driving directions that will get you to their expanding collection of barns and crystals. It’s an enjoyable and surreal spot with an applaudable message: that businesses off the beaten path deserve financial and business-growth support as much as the cupcake shop down the street (and, let’s face it, The Crystal Barn is going to outlast just about every other small business you’re likely to see in a testimonial spot). Perhaps most importantly, the ad helps Barclaycard stand out from the litany of other financial ads that come and go without having anything interesting to say or show—much less to remember. 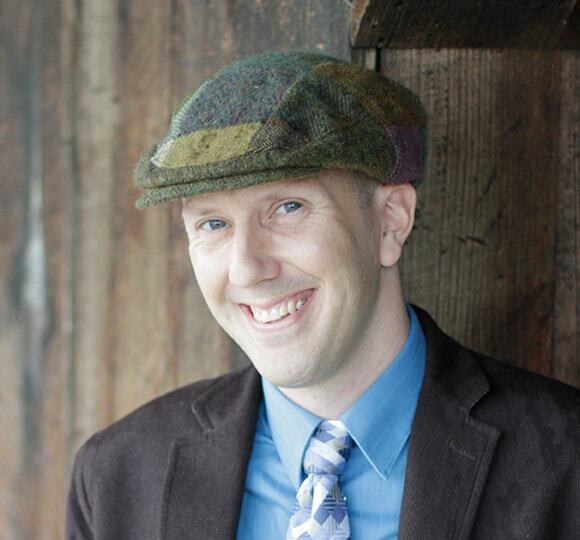 “Most bank advertising strategies seem best described by a ‘boring fog of awareness.' They want to be everywhere but don’t really want to be noticed in some way." As for The Crystal Barn, they were already winning new customers from the ad even before it was done being produced, which is a good sign that it’ll give the growing business a marketing boost.